*The SAPD's Mission is to protect and to serve. To uphold the law and to ensure public safety. 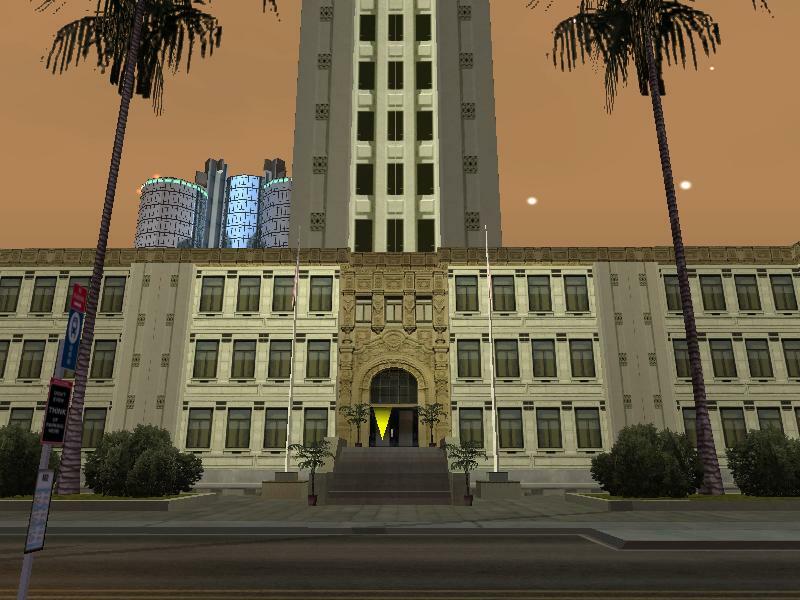 *The San Andreas Police department consists of several Divisions. 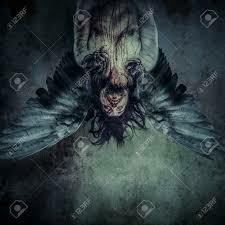 Such as the S.W.A.T (Special Weapons and Tactics), The A.S.U. (Air Support Unit), and the H.S.P.U. (High Speed Pursuit Unit). *It Comprises of well trained Officers that are ready at all times to take/handle difficult tasks. *The S.A.P.D. has men and women in their ranks that have been trained in hand to hand combat as well as firearm training from Sidearms to heavy weapons. *It has a tough training course that each Officer must undergo and must be ready to the extent where it is close to unbearable. The special weapons and tactics Divisions is the most highly trained and most experienced Law officials in the Department. spend hours on end training, and advancing their skills in order to be prepared to do their duties. Activities. 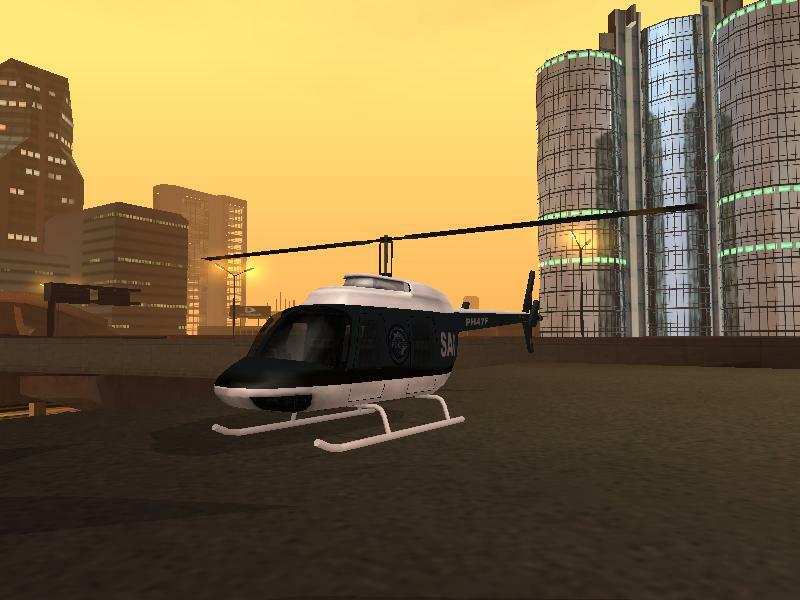 This Unit also does Air recon Mission To ensure that San Andreas is a much safer place. The H.S.P.U. is responsible for pursuit of highly wanted criminals. 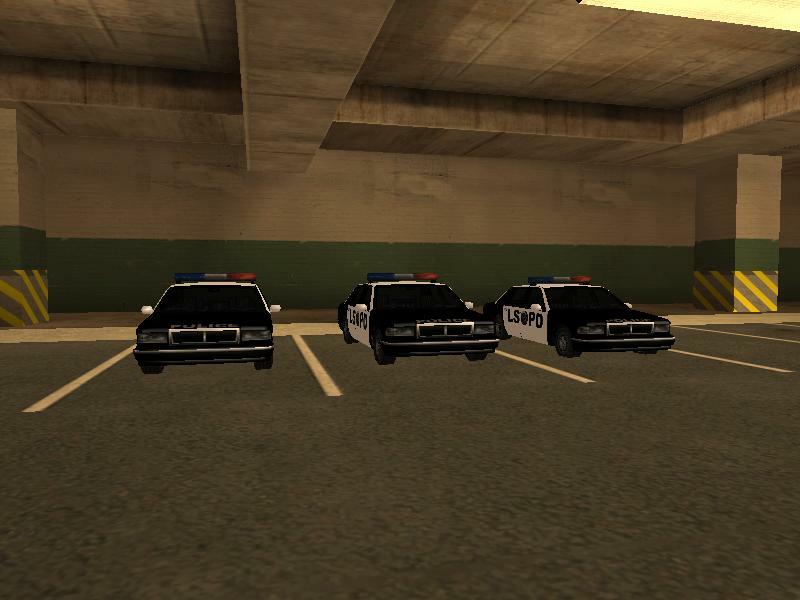 These group of Officers have excellent driving skills that would excel further than the average Trained Driver. The Officers are paid based on their Rank. The Desert Eagle Handgun, has astounding stopping power and is suitable for Mid to close range combat. The MP-5 Smg is excellent for Mid to close range combat and is a well rounded weapon that has a high rate of fire. The Night stick is an excellent close quarters combat weapon that gives Officers the edge to knock an opponent off his feet. The M4 Carbine is a combat rifle used by marksman, it is excellent in medium to long range firing and is used by the S.W.A.T against gangs or high level threats. The M24 Rifle, this version is less precise, less damage during but more faster while shooting, this rifle is used in long range for disabling vehicles or guarding areas from towers or high places during Riots, in most situations it is used against highly threatening and strong enemies. 1. Use common sense at all times. 2. Obey all server rules. 3.Do not DM or abuse commands. 4. Always obey the chain of command. 5. Always cooperate with other law enforcers. 6. Base your decision to ticket or arrest on the crime, not the wanted level. 7. If a suspect's wanted level drops to zero, they got away with it. Don't set it again. 8. If a suspect refuses to stop, you may raise his wanted level by one. Keep adding if they continue to refuse. 9. Teamwork is essential for a good squad to function. If there are 4 or more officers on, team up and go 2 in each vehicle (never more than 2). 1. When on duty, always wear your uniform. Never patrol in civilian clothes without prior authorization. 3. Do not use any resources you've been restricted from using. 4. When off duty, do not use Department resources (commands, uniform, vehicles, weapons). 5. Do not use Special Vehicle Division vehicles, which include Bullet, Cheetah & Sultan unless you're a member of the division. Failing to follow this rule may result in a KICK. 1. Never use your guns unless really needed, use your tazer more often in situations. 2.When On-Duty you must be accompanied by an Officer at all times. 3. Once I receive a complaint proving that you are the one who did something wrong, you will be instantly KICKED. 1. You must remain in SAPD for a minimum of 7 days from the time you are accepted In-Game. Failing to do this may result in you being excluded from future employment. 2. You may not force the leader or co-leader to view your application or to accept you in-game. 3. Only law enforcement officials (SAAF for now) and mods/admins are allowed to give feedback and recommend applicants. Other feedback will not be taken into account, and will be removed. 5. Must be at least 21 to join. 6. Must be and American Citizen. 7. Must have at least 24 score. Official guidelines for wanted levels. These are subject to change. 6 Stars - Killing a soldier, Threat to public security. Assisting a criminal to flee will lead to the accomplice receiving one wanted level less than the criminal. Anyone with a wanted level of 1-2* will be issued a fine except in the case of robbery. The S.A.P.D. 's Main HQ is at Los Santos Commerce just East of the Pershing Square, Here you can find majority of our Officers that are stationed in the area for special Assignments. The Cruisers are capable of transporting equipment and up to 4 men. This vehicle excels in all areas such as Speed, Handling, Braking, Consistency. Are an Efficient Vehilce for all the Officers. This Vehicle is widely used for Chasing Men on foot and motorcycles alike. These are the Special Vehicles that are hard to outrun with the right driver as it can keep up to any vehicle on ground. 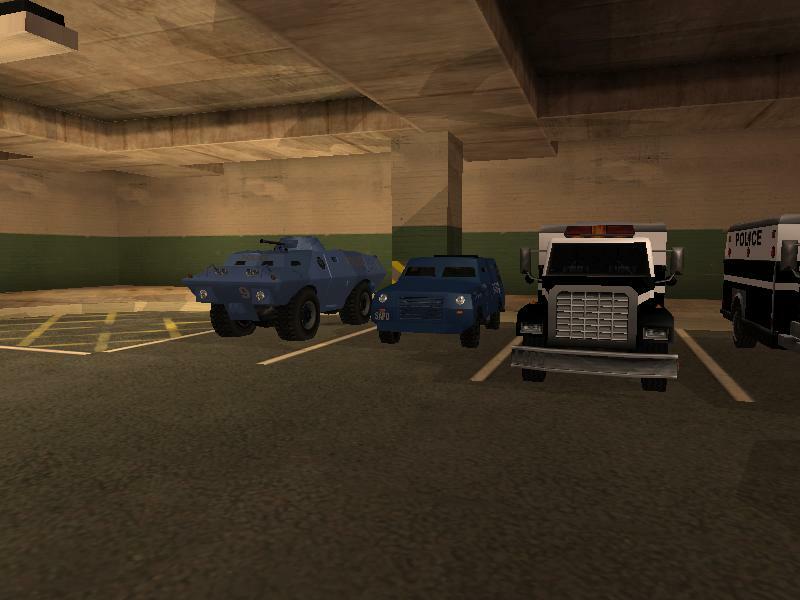 These Heavy Vehicles are special designed to withstand Riots,Gang related Occurrences, as well as the capability to transport the Highly Trained Combat Unit known as S.W.A.T. 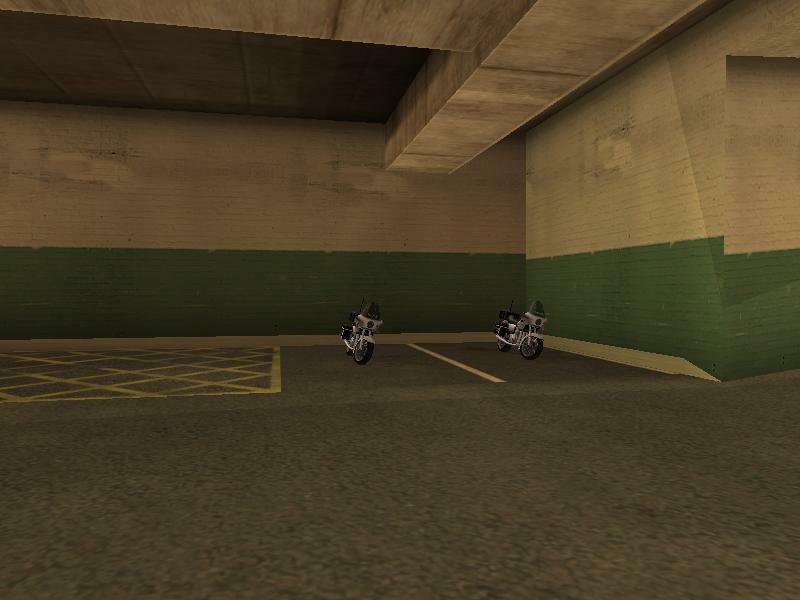 The Main Vehicle used by the A.S.U. Used in aiding A.S.U. officers and Ground Officers to get a lead on the suspects location and actions. General Chief Connor's response towards the post seen and i'm thanking you for helping me and my whole department.. General Linus. It's much appreciated.